Dashing isn’t just for the spice rack. Check our 15 facts on the 200 meter dash — the middle child of Olympic sprinting. We’ve got the low down from Usain Bolt’s world record run to the event’s origins. Mobile devices are becoming an increasingly important part of medicine. But what difference is mobile health really making, and what does your smartphone have to do with it? 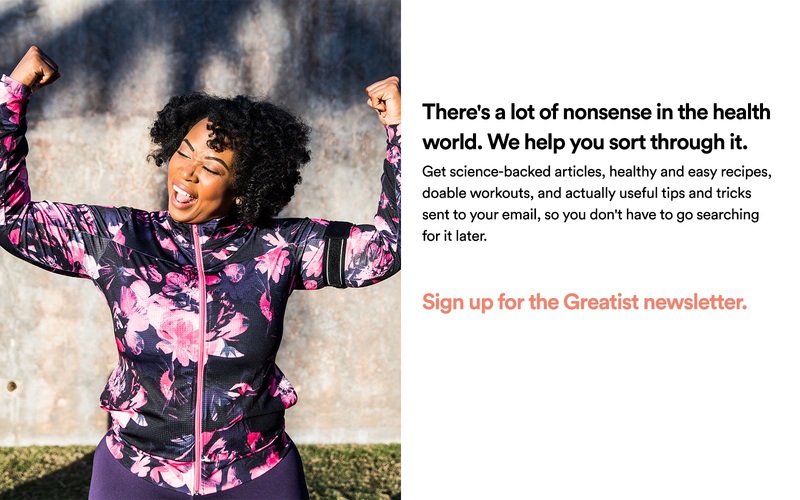 The earliest risers of our greatist community share tips on making better choices even before you can say “breakfast.” Check out this week’s roundup of #imagreatist tips on being healthy, fit, and happy from the moment you wake up. Vitality. Performance. Reconditioning. Does the ViPR live up to its meaning? A few Greatist staffers headed to the Chelsea Piers Sports Center at Pier 60 in New York City to find out. Feeling the pain after an intense workout? Turns out those sore muscles might need a little extra rest, though some light activity could actually help us feel better, faster. Last week, The Greatist Team met up with former NFL running back Curtis Williams for an afternoon workout in Central Park. See how this pro whipped us into shape. Think that synchronized swimming is for wannabe mermaids? Think again. Synchro is a grueling sport bursting with athletic and artistic merit. It’s Day 11 of the Summer Games and the excitement has only just begun. Read to see why our Olympic fever keeps climbing, and why some of these athletes just can’t be beat. What does it mean to be a greatist? Ask Kellie Davis, professional writer, fitness coach, and mom. Read on for an inside look at her daily routine. Michael Phelps is officially the most-decorated Olympic athlete of all time, but he didn’t get there without his teammates (and some not so helpful words of advice). In the spirit of the 2012 Olympics, we rounded up 15 lesser-known exercises inspired by the London Games. Try ‘em out to spice up your next workout! Are Flip Flops Bad for You? For the days a cup ‘o Joe just won’t do it, here are some seriously creative ways to get that little extra kick. There’s a new berry on the block, and its name is goji. According to Chinese legend, goji berries helped a man live until age 252 — check out what else this superfood can do. A new study finds a link between excessive drinking and not getting enough sleep. But should we trust the results and skip the bar for extra Zzz’s? We rounded up 13 drinks to celebrate 13 countries all weekend long while watching the Games! Seasonal veggies stuffed with even more veggies? Yes please! These eggplant, onion, and bell pepper stuffed zucchinis are a great vegetarian main dish alternative. This super easy chilled soup is perfect for summer entertaining — and for using up local produce at the peak of the season! 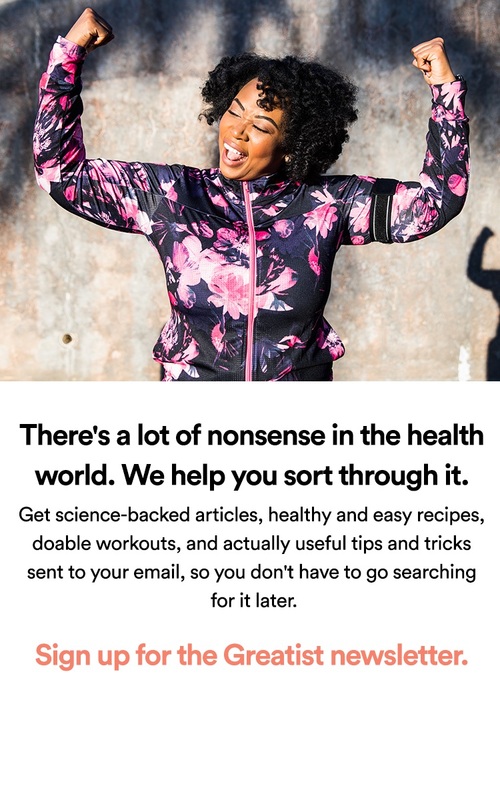 Are we nuts or, is this research awesome? A new study says almonds have fewer calories than scientists once thought. Can Meditation Make Us Smarter? Not everyone will reach nirvana after a few “Oms.” But could meditation be a way to boost brainpower? More than 80 percent of American employees like their jobs. What are their bosses doing right? Greatist looks at 10 key factors — both psychological and social — that science suggests make for the best work environments.